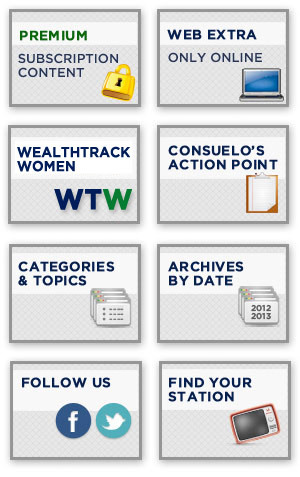 This weekend marks the launch of the ninth season of WEALTHTRACK. None of us can believe it’s been that many years since we created what is still the only program on television devoted to long-term diversified investing and building and protecting personal wealth. We have stuck to our mission pre, during and post the financial crisis and interview only the best investors and financial thought leaders in the business to help our audience achieve financial security. Having started in a handful of stations in July of 2005, we are now in over 200 markets, covering 82% of the country. 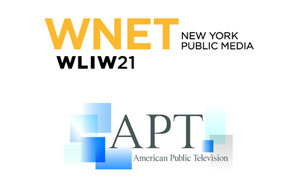 We have attracted a loyal and growing audience, with the fastest viewership expansion now occurring online. A few weeks ago we unveiled our completely revamped website to make online viewing easier and to introduce more valuable information from our exceptional guests, including personal insights from them on investing, which you won’t hear anywhere else. Before telling you what’s on tap for this week’s show, a few comments from some WEALTHTRACK regulars about what’s going on in the markets are of interest. As you know, I talked to Loomis Sayles’ legendary bond manager Dan Fuss about his take on the wild action in the bond markets last week, which I reported to you in this newsletter. Selling in bond mutual funds and ETFs hit records this month. Well I had a chance to see him this week for an update. Are we finally witnessing the end of decades of interest rate declines? Affirmative says Fuss. And what does that mean for bond investors? Fuss says the most important change is how much “credit,” the quality of the issuer is now going to matter. As rates rise borrowing costs will go up and companies dependent upon financing will struggle. So transitioning to higher quality issuers is going to be increasingly important. Incidentally, another bond legend, PIMCO’s Bill Gross put out his monthly Investment Outlook commentary this week, titled “The Tipping Point” and he has an interesting take on where we are in the interest rate cycle and why his investors should not join in the wholesale selling. Always thought provoking and frequently right, this month’s and another recent commentary by Gross, “The Fog That’s Yet to Lift” are definitely worth reading. One of the topics of greatest interest to us over the years has been the challenge of achieving financial security in retirement. As a result, to launch our new season this week, we are introducing a two part series on women, investing and retirement. Why is this such a critical topic? It’s quite simple. Women need more financial security than men because they live longer and they need more help because they are not as prepared as men are to deal with it. The average life expectancy for women in the U.S. is 80, five years longer than men. More than half of women live alone. Widows are on their own an average of 14 years. And women tend to have different financial priorities than men. Women lag behind men in nearly every category of retirement planning. According to a recent survey by Ameriprise Financial, only 44% of women say they have contributed to a workplace retirement plan, compared to 51% of men, 42% set aside funds in their own investments vs. 52% of men, and only one in five have determined the amount of income they’ll need in retirement compared to 28% of males. We want to help change this risky behavior and help women achieve financial security for a lifetime. It is a goal shared by this week’s WEALTHTRACK guests. They will explain why traditional financial planning approaches are not appropriate for many women (70% of widows change advisors within one year of their husband’s death) and how they have changed the conversation with them. I hope you have a chance to watch this week’s and next week’s WEALTHTRACK with a favorite female family member or friend. They will thank you later! Have a great weekend, a celebratory July 4th holiday and make the week ahead a profitable and a productive one. On a related note: How to maximize your Social Security benefits, the only source of guaranteed income most Americans can count on.